One-page websites have now become popular because of their simplicity in style and usability. Yes, you can actually present all your content in one big (or small) web page. In fact, having just one page to look into for specific products or services makes the task really easy rather than going through multiple pages. Layout options – We want you to have the option to choose between narrow and wide and full-width and boxed. Page builder – Having a page builder (drag and drop) will allow you to design your website easily (without the use of codes). 1-Click installation – With this feature, you have the option of cloning your theme’s demo site and then customizing it with your own content. Designing options – It would be good to have options for using animations, slides, and other types of designing effects to make your site more attractive and pleasing to the eyes. Video – We picked themes that allow you to use videos in the background and on certain portions of your web page. Responsive design – We want you to have a site that’s viewable from all major devices – PCs, laptops, tablets, and mobile phones. Translation ready – For websites that serve a worldwide audience, the ability to create a multilingual website is very important. Sole is a one page WordPress theme that can also be converted into a multipage website. Likewise, if you currently have a multipage site, you can use this theme to convert it into a one-page site. Using the Hybrid Composer for a Visual Composer, web designers and business owners can easily create their dream website with this theme. Listed below are some of its main features. Page template – The theme comes with page templates that include animations, direction controls, side menus, etc. Layout styles – You get to choose between full-width or boxed layout. Portfolio management – Build your own portfolio posts using masonry and grid layouts. 1-Click demo installation – Sample previews can be imported and copied to become your own website. Content layouts – Create a page layout with a left sidebar or a right sidebar or sidebars on both sides. Translation ready – The theme is compatible with the WPML plugin. Bootstrap framework – You get a fast and responsive theme. Mobile optimized – Mobile users will find the theme highly accessible. Retina ready – The theme is able to produce crisp images on high-resolution screens. RTL support – You can use right to left accessibility. WooCommerce support – Use the popular ecommerce plugin when creating an online shop. SEO friendly – The theme is optimized to work well with search engines. Image background – There’s a template for using images for the background. Slider background – You can use a template for displaying slides on the background. Video background – You can opt to display videos in the background. Parallax scrolling – Use parallax effects for the scroll function on your site. Social sharing – The theme is integrated with social sharing functions. As you can see, this one page/ multipage theme can help you create a fully functional website no matter what your purpose is. Note that it also comes with page templates that are highly customizable to your needs. Visual Composer – This premium drag and drop page builder is included in the theme. Revolution Slider – Create beautiful slides with the premium slide maker included in the theme. Design – The theme allows you to create a clean, modern design. Theme options – You can go to the theme options (at the back-end) to edit and customize the look and functionality of your website. Blog page – You can easily create a blog page with the theme’s sample templates. Slider styles – Choose from full-width and full-screen slides. HTML5 and CSS3 – The theme is formatted and coded cleanly. Responsive – Your website will look good on all sizes of screens. Pixel perfect – The theme provides for clear content. Cross-browser support – Using the theme means having a site that’s viewable from all major browsers. 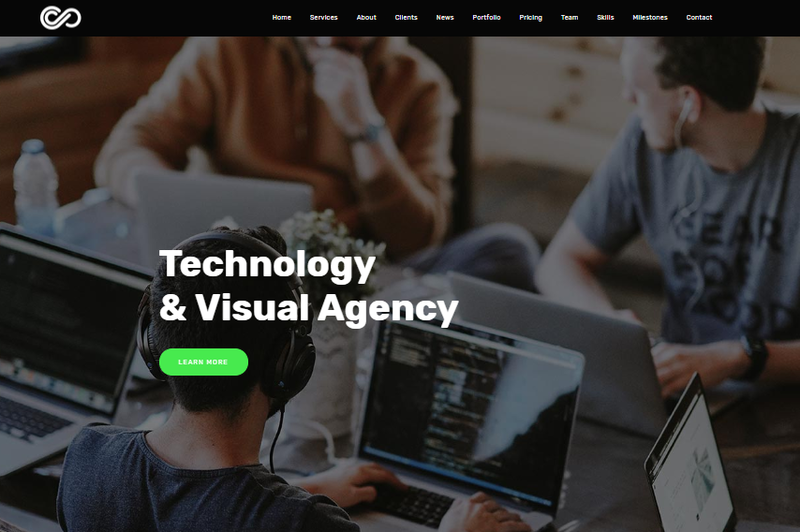 The Mitex is a multipurpose WordPress theme that you can customize according to the type of business (or interest) that you have. It also comes with page templates that you can edit using the various tools that are included in the theme’s package. If you’re looking for a one-page scrolling website theme, the Patti is worth checking out. It comes with a lot of useful sections and beautiful elements to help you create the specific site that you need. You can do all the customizations at the back-end of WordPress under the options panel. 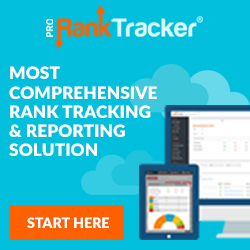 Look below for a list of its top features. Visual Composer – This page builder plugin will help you create beautiful landing pages. Templatera – Use this plugin to create your own templates. Revolution Slider – This premium slide maker plugin is included for free. Admin panel – You can go to the options section at the back-end of WordPress to work on designing your website. Theme setup – The theme includes the XML data file that can be installed when putting up your site. Portfolio style – You can create your portfolio using a grid layout. Project pages – Choose from 5 layouts when designing your project page. Translation ready – The theme supports the WPML plugin. Responsive design – The layout of your website will look awesome in all major devices. Parallax effects – You can include parallax effects on your content. Page layout – You can opt for a full-width page or include sidebars to the left and/ or right side. Header options – Get to choose from different header styles that can still be customized to fit your needs. SEO friendly – The theme is coded with search engines in mind. It is also compatible with popular SEO plugins (e.g. All in One SEO Pack and Yoast SEO). Customizable background – You can use your own images and color combinations for the background setting of your website. Google fonts – Get access to all of Google’s custom fonts. Blog format – You can use a blog format or layout for your one-page site. Child theme – This is included as a safety measure when tinkering with your Website’s design. Video tutorials – The theme includes video instructions on how to create your site. 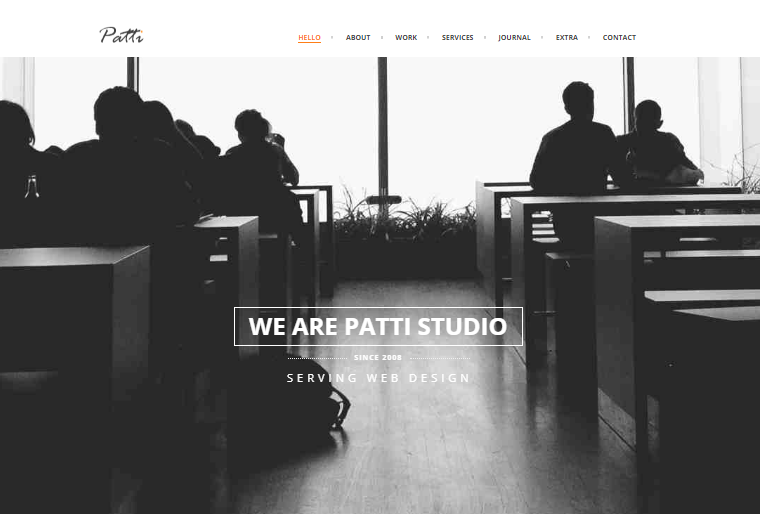 You can boost your web presence by using the Patti WordPress theme. It can provide for a user-friendly and mobile-friendly experience for all your site visitors. 1-Click installation – Import the theme’s demo content and get your site running in a few minutes. Page templates – The theme comes with several one-page templates to choose from. Sticky menu -You can enable the sticky menu option if you want your menu to always be visible. WPBakery – This premium page builder is included in the package. Revolution Slider – This slide maker is integrated into the theme. Live customizer – Get real-time preview while editing your site. CSS3 animations – Create amazing animations on your website. SEO optimized – The theme’s design is made to be search engine-friendly. Carousel elements – Use this tool in designing your site’s look. Transition effects – Moving through your site is smooth and lovely. WooCommerce ready – You can install the popular ecommerce plugin if you want to sell stuff on your website. 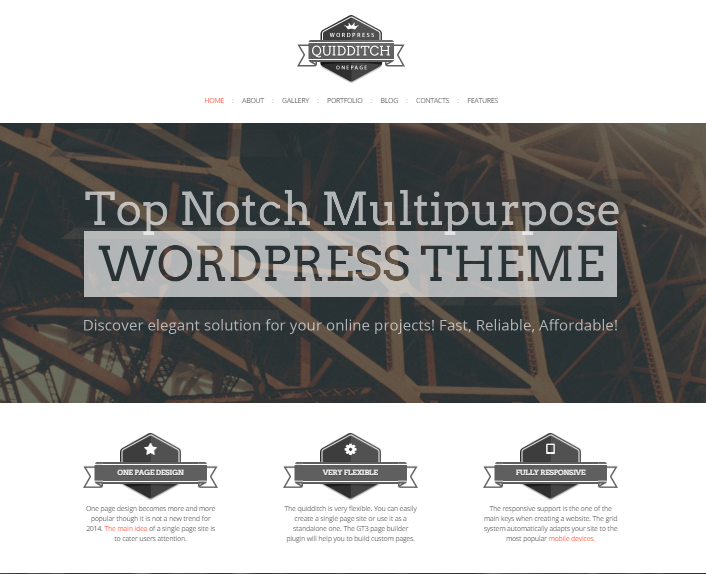 WPML support – The theme is compatible with the WPML plugin. Responsive design – The theme is able to produce a layout that appears to be beautiful on all types of devices. Retina ready – Devices with high-resolution screens will find your site clear and pleasing to the eyes. Google fonts – You can choose from hundreds of Google fonts when designing your website. Google maps – You can include Google maps into your site’s design. Cross-browser support – All major browsers are compatible with the theme. You can create a unique-looking website with the Unfinity WordPress theme and your options are only limited to your imagination. The theme also comes with sample templates that you can copy and customize as you need. Riwa is a multipurpose WordPress theme that can create lovely one-page websites. It’s suitable for any type of business, profession, and interest as the theme is highly customizable. Some of its most important features are listed below. Responsive layout – Your website would look good on all major devices. Typography design – You get access to hundreds of Google fonts. Pixel perfect – Your audience will get to see your content clearly. Live preview – You will find the theme easy to edit as you can get a live preview while you’re working on your site. Blog page – The theme comes with styles and templates that you can use in designing your website. Slider options – You can create full-width and full-screen slides. Visual Composer – This page builder uses drop and drag style in designing your website. Revolution Slider – Create stunning slides with this premium slide maker plugin. Retina ready – Devices with high-resolution screens will display your site clearly when you use this theme. Contact form ready – The theme is compatible with popular contact form plugins. Sharing options – You can use the theme’s integrated social media sharing features. HTML5 and CSS3 – The theme is structured and coded to function smoothly. The Riwa WordPress theme comes with easy-to-use tools that will help you create your website quickly and beautifully. You can also opt to use the templates that go with the theme – or further customize them (it’s totally up to you). Premade sections – The theme comes with 9 sections that can be filled up with your own content. Simple Image Slider – Create image slides that load really fast. Simple Text slider – You can create slides that contain text messages. 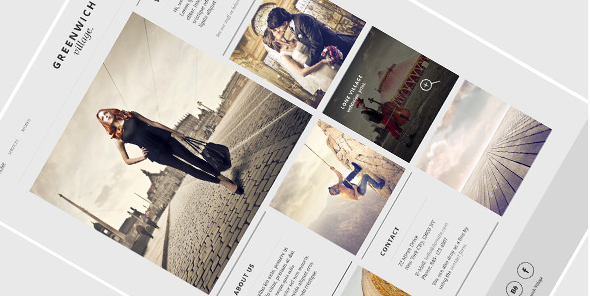 Portfolio types – The theme offers several styles of portfolio layouts. XML file – The demo file is included in the theme. Responsive design – Your website will display smoothly on all major devices. Clean coded – Smooth scrolling can be achieved with the theme. Translation ready – You can make a multilingual site with the theme (.po file included). Contact Form 7 support – The theme is compatible with the plugin. Child Theme – You can edit safely by working on the child theme. Shortcode generator – You don’t need coding skills to design your website as the shortcode generator will take care of all the codings automatically. Cross-browser support – The theme is compatible with all major browsers. Video guide – The theme includes video instructions on how to use the theme. Full documentation – You’ll get a written manual on how to install the theme. For a fully functional one-page theme, the Blanka is very simple to customize. You can put all the elements of different functions in one big page and everything will roll out clearly, smoothly, and quickly. 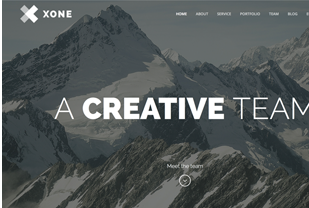 You can create a one-page or multipage website with the Xone WordPress theme. It’s truly a flexible theme as it provides you with a lot of options and customization features in building your website. Look at some of the theme’s features below. 1-Click installation – The theme comes with a sample content importer that you can use to quickly put up a site. Options panel – Just go to the back-end of WordPress to customize any section or element on your website. Revolution Slider – If you want to include slides onto your website’s design, this premium plugin will make the task super easy. Ajax loader – Load portfolios in a smooth fashion. Custom widgets – The theme comes with its own set of widgets with their own functions (just choose the ones you need). Audio and video support – You can include audio and video files to your site’s design. Post formats – The theme supports several formats such as standard images, galleries, videos, quotes, links, and audio files. Parallax effects – You can include parallax background effects on your website. CSS – The theme is well-coded and organized. Translation ready – Turn your site into a multilingual one by using the theme’s .po and .mo files. Google map – The theme is compatible with Google maps and you can add these onto your site’s design. Retina ready – The theme works well with high-resolution screens. Google fonts – Use Google fonts in designing your website. Well documented – Full documentation on how to use the theme is included in the package. The Xone WordPress theme makes for a suitable theme for any one-page website (personal or business). It comes with a lot of features and options on how to design your site and step by step instructions are also included in the package. Design styles – You can choose a dark or colored design. Ajax loading – Your content will load quickly as it’s powered by AJAX. Simple Image Slider – Get this lightweight slide maker for free. XML content file – Use this file to easily set up your website. Child theme – You’ll get the Child theme to ensure safe editing. Responsive design – Your website will fit all screen sizes. Shortcode generator – The theme is equipped with a shortcode tool that will generate codes automatically (no need for you to tinker on codes yourself). Translation ready – The .po file is included in the theme. Portfolio posts – Choose any type of portfolio styles to use on your website. Cross-browser compatible – The theme works well on all major browsers. The Cardea WordPress theme will allow you to arrange (and fit) different elements and sections on one big page of content. With its well-structured and solid framework, you can be sure that your website will load efficiently on all major devices (desktops, mobiles, etc.). For a theme that comes with A LOT of customization options, the Doors is a pretty straightforward WordPress theme. It’s the type of theme that would work for personal and business purposes and can also handle portfolio types of websites. With all its ready-to-use templates, you can still use your creativity in designing your site (from the back-end of WordPress). Take a look at some of its top features below. 1-Click installation -The theme comes with sample websites that can be cloned and customized according to your liking. Blog page – You can use blog style in designing your one-page site. Theme options – Access your website at the back-end to change and edit certain components. Filterable portfolio – Your site visitors can use the filter option in searching for items in your portfolio section. Responsive layout – The theme is designed to look good on all major devices. Clean coded – Web designers will find it easy to expand the theme’s functions. Parallax effects – You can include a background with parallax effects on your website’s design. Video screencast – Get video instructions on how to use the theme. Detailed documentation – An instruction manual is included in the package. You can create a clean, elegant one-page website with the Doors WordPress theme. All you really need to do is edit templates and fill the site up with your own content. The theme also includes designing effects that will make your website stand out from the rest. Homepage layouts – Choose from at least 3 homepage styles when designing your website. Filterable portfolio – The portfolio section of your site can be filtered by using keywords. Background header – You can use a video as your background header. AJAX-powered – loading endlessly is smooth and fast. 1-Click demo installation – You can import a sample website from the theme’s package and tweak it to customize its looks. Demo data file – The theme’s demo data file is included and ready to use. Scrolling option – Your one-page site can carry the load more scrolling style. Google map – The theme is compatible with Google map and you can even include custom markers to show certain locations. CSS3 – You can use animations in designing your website. Revolution Slider – This premium slide maker is included in the theme. Ebor template builder support – The theme is compatible with this plugin. Gallery header – You can further customize the templates intended for the Gallery header. Responsive layout – The theme is made to appear nicely on all types and sizes of screens. Google fonts – You can access and use any of Google’s hundreds of fonts. SEO ready – The theme is built with SEO in mind. It is also compatible with popular SEO plugins. Full documentation – You get a complete set of instructions on how to install and use the theme. 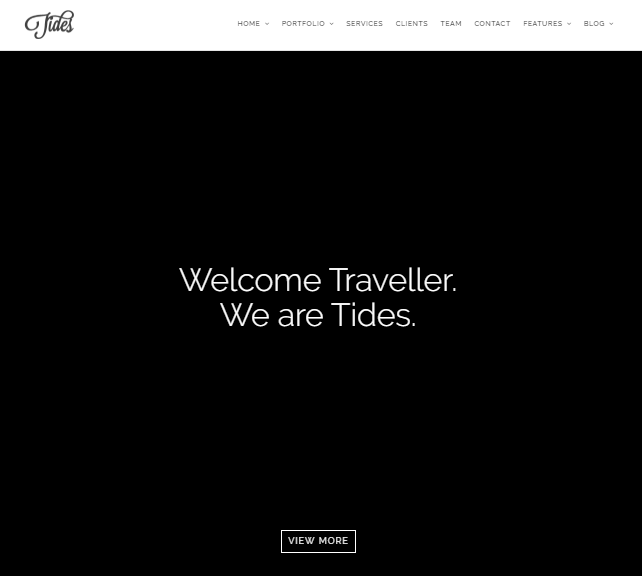 You can create a big, one-page website with the Tides WordPress theme. Since it’s powered with AJAX, elements on the page will load quickly and smoothly. 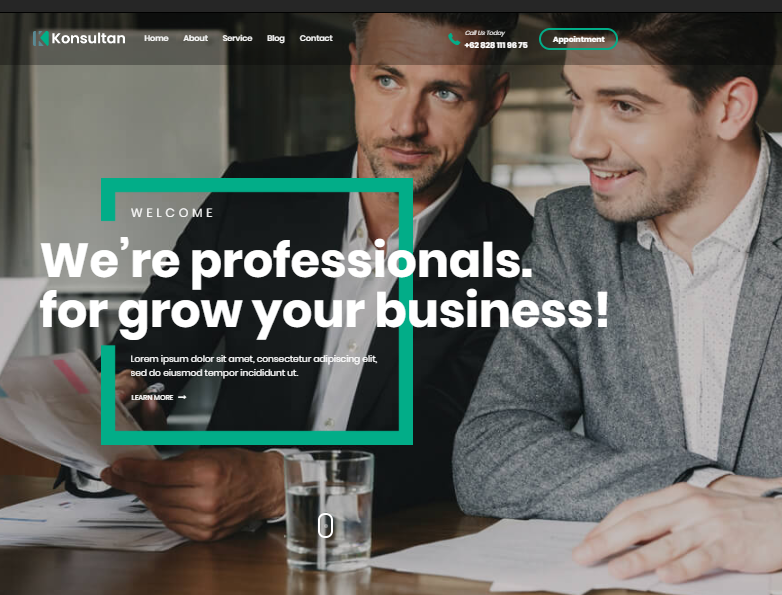 Freelancers, small and big businesses can use the theme’s customization options to end up with a truly functional website. Simple Image Slider – This is another slide maker that’s suitable in displaying images on slides. AJAX loader – Loading content is smooth and fast. Unlimited colors – You can use different shades and combinations of colors in designing your website. Child theme – You can safely edit through the Child theme. XML demo content file – This file is included in the theme’s package. Translation ready – You can transform your site into a multilingual one by using the included .po file. Responsive layout – The theme is designed to fit and work well with different screen sizes. Shortcode generator – This built-in tool will allow you to design your site even without coding knowledge. Cross-browser compatible – The theme works well for all major browsers. Set up video – Video instructions are included in the package. Full documentation – You get an instruction manual for the theme. Creating a big one-page website is made easier with the Meelo WordPress theme. With premade sections that can be easily filled up with your own content, you can customize your site to exactly the way you want it to be. You can easily put up a one-page website by using the Miex WordPress theme. It works for several layouts such as one big scrolling page or as a landing page (with as many elements as you want). Read on to discover some of its most attractive features. Visual Composer – This is an easy-to-use page builder plugin that comes with the theme. You can use its drag and drop interface to create your website’s design like a pro. Demo content – The theme comes with sample content that can be easily copied and set up as your own. Blog page – You can create a single page blog with the theme. Project page – The theme allows for the creation of a single project page. jQuery enhanced – You can create an efficient, well-structured website with the theme. Responsive design – The theme’s layout is made to be clearly viewable from different types of screens. Unlimited colors – You can use an unlimited number of color shades in designing your site. 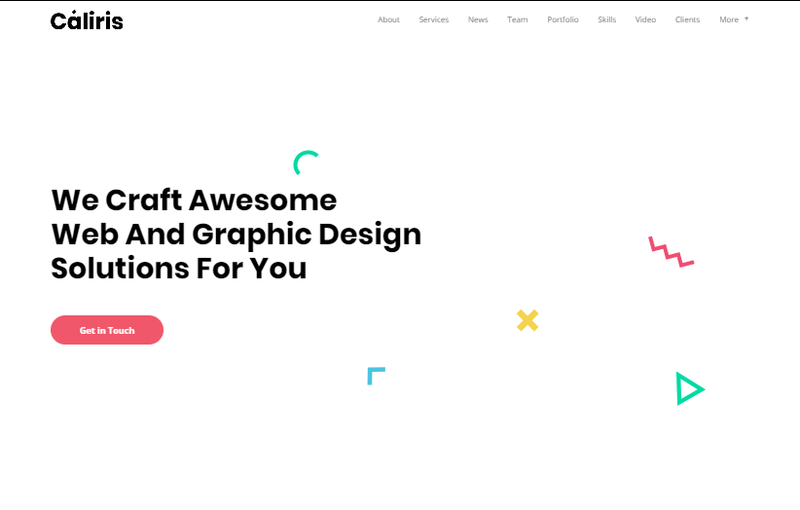 Animations – The theme provides the option to have animations on your website. Contact Form 7 – You can use this plugin with the theme. Retina ready – High-resolution screens will be able to view the theme clearly. Full documentation – Get a complete set of instructions on how to install and use the theme in creating your site. 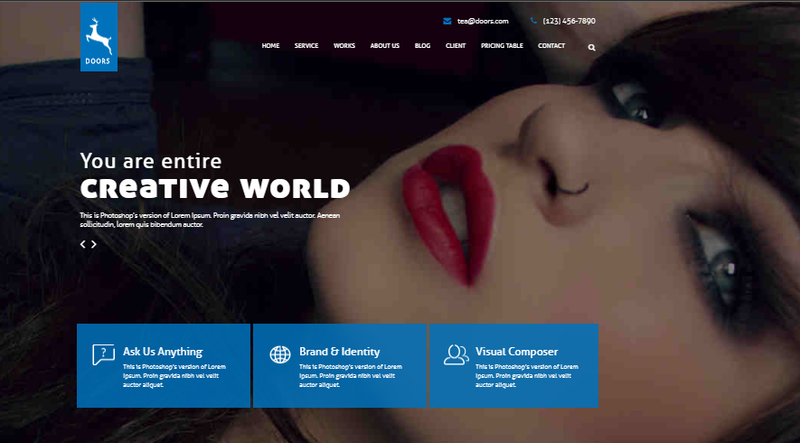 Using the Miex WordPress theme will allow you to create a truly unique-looking website. You can design your site to represent your brand using logos, colors, and fonts that represent your brand. What’s more, the theme is easy to set up and customize according to your specific purpose. The Seppo is another multipurpose WordPress theme that can create a beautiful and functional one-page website. It comes with pre-made components that are customizable – so, you can design your website like a pro even if you know nothing about coding. Listed below are some of the theme’s top features. Child theme – This is included in the package and you can use it to edit your site’s content safely. Revolution Slider – Get this premium slide maker for free when you get this theme. XML demo content file – This file is included to easily set up your website. Portfolio post – You can create a portfolio section on your one-page website. Simple Image Slider – This slide maker is suitable for use in creating image slides. AJAX loader – Your site’s content will load fast. Shortcode generator – You don’t need to create a single code as this tool will do all the coding for you. Translation ready – You can create a multilingual site (.po file included). Unlimited colors – You can combine different shades of colors in designing your website. Responsive layout – The theme comes with a layout that fits the screens of all major devices. Smooth scroll – Scrolling through your big one-page site is fast and smooth. Cross-browser compatible – All major browsers can view the theme perfectly. Full documentation – A complete set of instructions is included in the package. You can create a one-page website with a lot of elements with the Seppo WordPress theme. It’s also easy to customize as you don’t need any coding skills to change the arrangements and designs on your site. 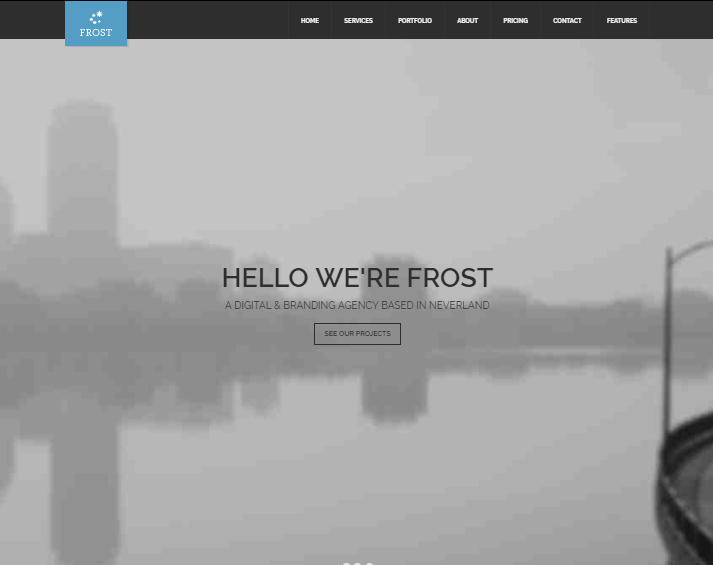 You can use the Frost WordPress theme for one page and multipage websites. It comes with a flat, lightweight design – making it quick-loading and trouble-free to use. Moreover, its customizable features will enable you to design your site in a way that would suit your business, profession, or specific interest. You will find some of its most notable features below. Page builder elements – The theme comes with more than 20 elements that you can use in designing your website. Custom image crop – You get to choose the areas to be cropped. Ebor Template builder – Create your own templates and layouts through this plugin. Parallax background – Images in different sections can carry parallax effects. Custom logo – The theme allows you to upload your own logo onto the website. 1-Click demo installer – You can create your website to look exactly like the theme’s demo site. Live preview – You can edit live and view changes as they happen. Unlimited colors – The theme allows you to use various colors and color combinations. 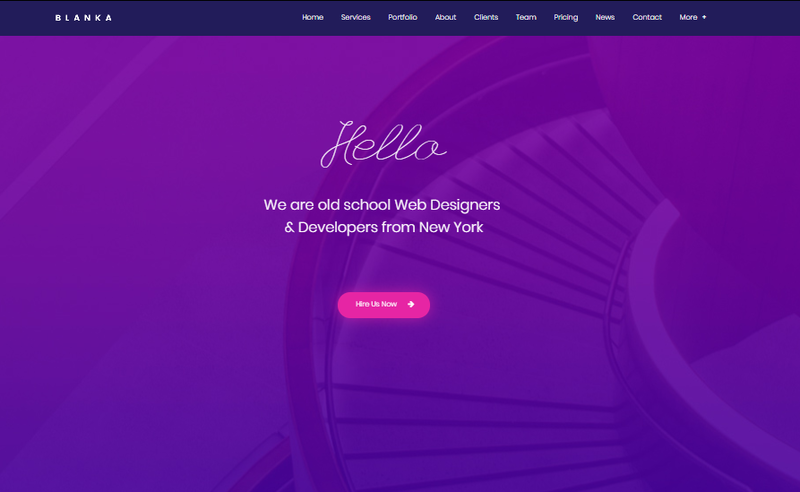 Revolution Slider – Use this premium slide maker in designing your website. Google fonts – You can use Google fonts in styling the look of your site. Translation ready – The theme is compatible with WPML. The .po file is also included in the theme package. Responsive design – The theme is compatible with all major devices. Compatible plugins – The theme is compatible with Gravity Forms and Contact Form 7. Footer style – You can have up to 4 columns in the footer area. Social Media sharing – Built-in sharing buttons are included in the theme. The Frost WordPress theme is highly customizable and easy to use as well. Should you decide to get this theme, you can easily put up a multifunctional one-page site with all the elements that you need. GT3 page builder – You can use this drag and drop tool in designing your website. Page style – Choose from wide (1170px) or narrow (960px) styles. Page layout – The theme’s layout is customizable to your exact preference. Theme options – You can tinker with your website’s design by configuring the settings at the back-end of WordPress. 1-Click installation – The theme comes with samples of demo sites that can be cloned and made your own. Layout plan – You can choose from a full-width or boxed layout. Sticky menu – You can opt to enable the sticky menu option to keep the menu function at the top all the time. Parallax effects – The theme carries parallax effects feature that you can use throughout your site. Retina ready – High-resolution screens will be able to display the theme nicely. HTML5 and CSS – The theme is cleanly coded and solidly structured. Translation ready – You can use the WPML plugin with the theme. The package also includes .po and .mo files. Google fonts – You have the liberty of accessing Google’s font library. Shortcode generator – The theme has a shortcode generator to take care of all the coding production. Responsive design – Using the theme will make your website look good on all major devices. Color management – You can use any color you want in designing your website. Custom widgets – The theme carries its own set of widgets (e.g. Twitter, Flickr, Recent Posts, etc.). PSD files – Included in the theme are PSD files that you can use and edit. The QUIDDITCH WordPress theme has an intuitive system that can create a beautiful and functional one-page website. Not only web designers will appreciate its simple technology, but also users as the theme is user-friendly. The Sweetness WordPress theme is indeed a sweet theme as it can make wonderful websites dedicated to cakes, pastries, and the like. 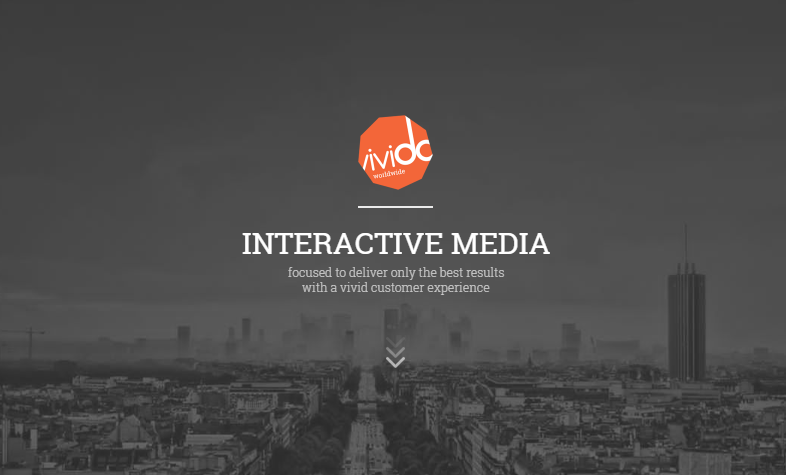 It comes with a lot of editable fun elements that you and your site visitors will surely love. See below for a list of the theme’s top features. Visual Composer – The theme comes with a page builder that’s easy to use in designing your website. Admin panel – You will find the theme highly customizable as the admin area is easy to understand and configure. Contact Form 7 – You can use this plugin for your site’s Contact page. XML data – The theme’s XML sample content file is included in the package for quick installation of the theme. SEO optimized – Rest assured that the theme is search engine-friendly and compatible with popular SEO plugins. Unlimited colors – You have the liberty of using any color combinations you want for your brand. Shortcode generator – The theme comes with a built-in shortcode generator – so, you don’t need to formulate codes in designing your website. Redux framework – You or your designer can decide to extend the theme’s functionality. Custom widgets – You get a set of custom widgets with the theme. Google fonts – Get access to hundreds of fonts from Google’s font library. Responsive design – The theme looks great on screens of all major devices. Retina ready – Devices with high-resolution screens can produce clear images. Free updates – Get the theme’s updates for free after the first purchase. Full documentation – You’ll get instructions on how to use and install the theme. 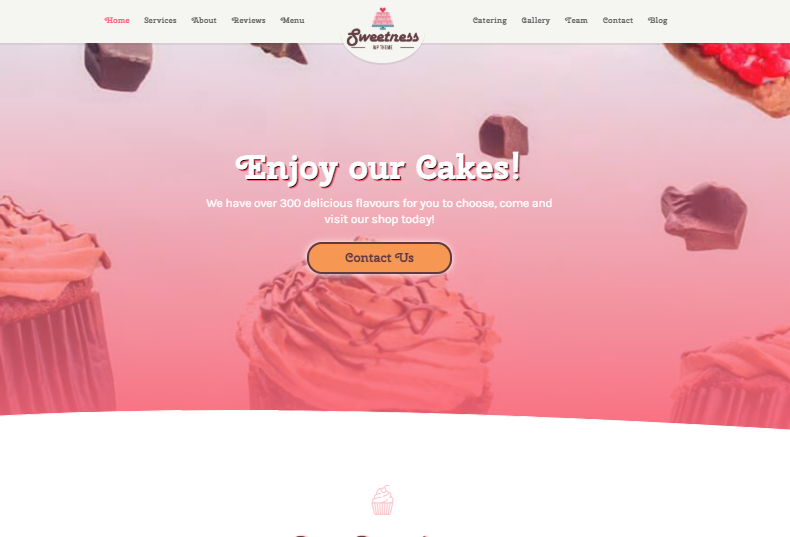 With easy-to-follow instructions and ready support from the theme’s developer, you can surely put up a sweets-based one-page website with the Sweetness WordPress theme. Note that it comes with a drag and drop page builder – so, you can easily arrange blocks of elements around your site’s design. As you can already tell, the Dentist WordPress theme is especially made for dental-related websites. 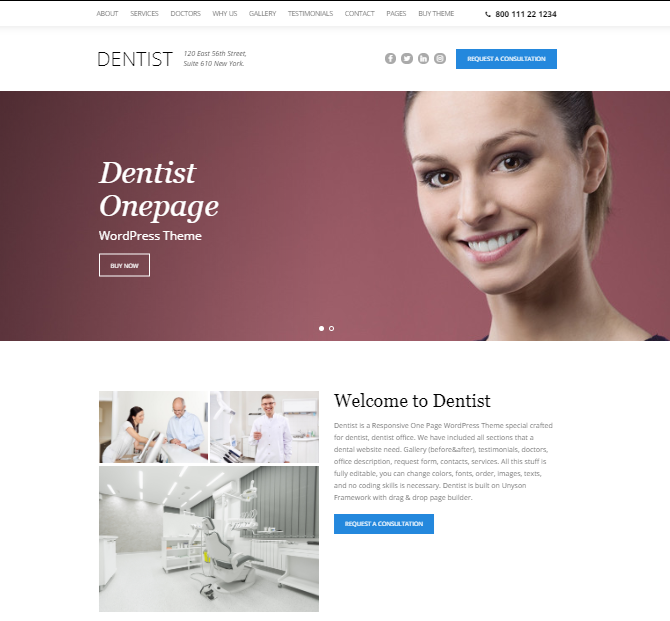 If you’re a dentist in need of a site or need to create one for your dental office, this would make for a perfect choice for you. Look at some of the theme’s features below. Gallery section – The theme comes with an editable gallery section. It’s the perfect place to display before and after images for your clients to see. Testimonials section – You can include testimonies of satisfied clients on your website. Doctors section – For clinics and offices with a number of dentists, you can make a list of doctors in this section. Office description – There’s a section where you can describe your work and mission statement. Request form – You can have a section for request forms for your clients. Contacts section – There’s a section where you can place all your contact information. Services section – You can describe the various services that you are offering on this section of your site. Editable elements – You can modify every element and section on your website (e.g. fonts, colors, texts, images, etc.). Unyson framework – The theme is built on this solid framework. Mobile friendly – The theme can produce a touch-friendly and mobile-friendly site. Retina ready – Devices with high-resolution screens will look good with the theme. 1-Click demo installer – You can use the theme’s sample website by cloning it. Translation ready – Transform your website into a multilingual one by installing the WPML plugin. The theme’s package also includes .po and .mo files. Responsive layout – The theme is designed to have a responsive layout for all types of devices. Sticky navigation – If you want, you can enable the sticky navigation option and have your site’s navigation field visible at all times. Shortcode generator – The theme comes with a built-in shortcode generator for automatically producing codes for the website’s functions. SEO optimized – You can create a search engine-friendly website with the theme. A lot of today’s popular SEO plugins are also compatible with the theme. Full documentation – Get complete instructions on how to install the theme properly. There’s no doubt about it that the Dentist theme carries all the necessary sections in creating a fully functional dental-related website. All elements are also highly customizable to fit your particular needs and requirements. Pre-made sections – Get at least 9 ready-to-use content blocks with the theme. You can arrange and rearrange these sections to fit your needs. Simple Image Slider – The theme comes with a built-in slide maker and you can use it to showcase your content beautifully. XML demo content – The theme’s package includes an XML sample website file to enable you to quickly install a ready-made site. Portfolio post type – You can include a portfolio section into your website’s design. Team post type – You can create a Team section on your site. Responsive layout – The theme is designed to look good on screens of major devices. AJAX loading – Expect your website to load fast when you use this theme. Child theme – This theme is included to allow you to make edits on your site’s design safely. Translation ready – The .po file is included in the theme’s package. Smooth scroll – Even if you have a very large one-page website, scrolling through your content will be smooth and easy. Shortcode generator – The theme comes with a built-in generator of shortcodes (you don’t need coding skills in designing your site). Cross-browser compatibility – All major browsers are compatible with the theme. Video instructions – The theme comes with an instructional video on how to install the theme. Full documentation – An instruction manual is included in the theme’s package. Consider getting the Caliris WordPress theme if you want to create a unique and functional one-page website. It’s easy to use and customize as it comes with built-in page builder tools and is compatible with popular plugins. 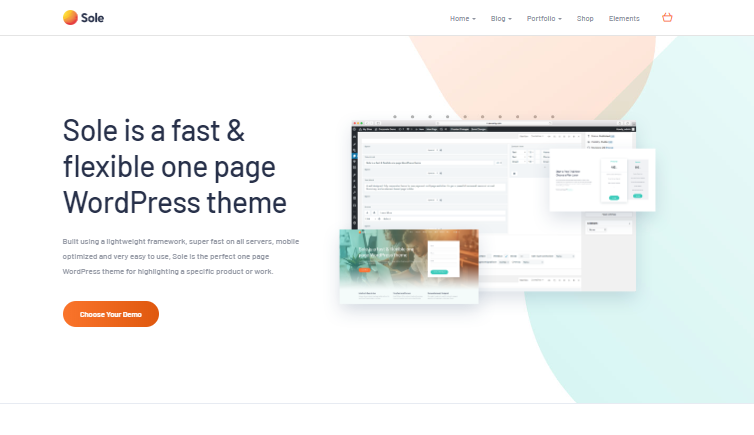 Visual Composer – The whole theme is based on this drag and drop page builder – so, it’s easy to design your site even if you don’t have coding skills. Shop module – The theme is compatible with WooCommerce. You can install the plugin if you want to set up a shop on your website. Layout styles – You can either use full-width or boxed layout. Revolution Slider – The theme includes this premium slide maker. Theme customizer – You can go to the back-end of WordPress to work on the theme’s configurations. Automatic resizing of images – Images uploaded on your site will be automatically resized to fit the screen. Sidebar options – You can place sidebars either to the left or right side of the web page. Customizable colors – Personally pick the colors that you want to use on your website’s design. Typography control – Aside from the theme’s built-in fonts, you can also access all the fonts in Google’s font library. SEO friendly – The theme is built with SEO in mind. It is also compatible with major SEO plugins (free and paid). Custom widgets – Get a set of the theme’s own widgets to add more functionality to your website. Translation ready – Make a multilingual site with the included .po file. The theme is also compatible with the WPML plugin. Multilevel menu – You can create dropdown menus (up to 2 depths). PSD files – PSD files for photoshopping are included in the theme’s package. HTML5 and CSS3 – Expect the theme’s solid structure to enable the creation of animations and smooth transitions. Full documentation – Get a full set of instructions on how to use and install the theme. You can create your one-page website easily with the Vivido WordPress theme. It comes with easy-to-use tools that will let you design your own site even if you don’t have coding skills. If you’re aiming to create a unique and fully functional one-page website, consider getting the Greenwich WordPress theme. It’s suitable for freelancers and companies running different types of industries. Listed below are some of its most notable features. Page builder – The theme comes with a built-in drag and drop page builder that will let you design a beautiful website without coding skills. Theme editor – You can customize your site’s colors, fonts, layouts, etc. Options panel – The theme allows you to use your own logo and favicon. XML demo data file – The theme’s XML data file is included in the package (to allow you to easily set up your website). Isotope 2.0 – This plugin is built into the theme to ensure stability and keep the theme’s loading speedy. Video support – You can embed videos from YouTube and Vimeo onto your site. Contact Form 7 compatible – The theme supports this plugin. Responsive design – The theme’s layout is responsive to different devices. Full documentation – Full instructions on how to use and install the theme is included in the package. As you can see, the Greenwich WordPress theme is simple and easy to use – yet it can provide you with a fully functional website with a customized look. Do consider it for your one-page personal or business site. Which One-Page WordPress Theme is For You? You have come to the end of the page and have seen our top 20 picks for one-page WordPress themes. We suggest going through your options once again before choosing the best theme for you. Look at each theme’s features and choose the one that will serve your purpose – whether it’s for personal, business, or for a specific industry. Don’t worry, you can’t go wrong with any of the themes listed here. WordPress vs. Joomla: Which is Better?